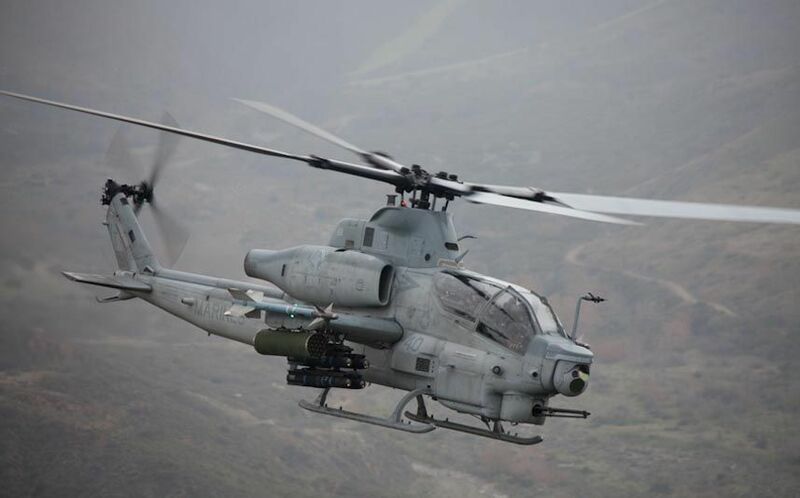 This is a helicopter. 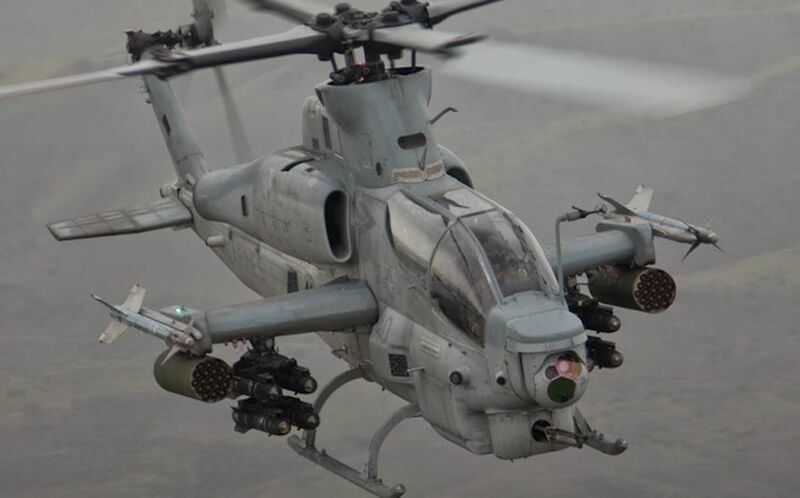 I’m not an aviation pervert but apparently it is a Bell AH-1 SuperCobra – an attack ‘copter that has played a major role in every U.S. military conflict since Vietnam. To start the twin turboshaft engines there is a lithium-ion battery pack. Said pack is rather potent because it also delivers power to the on-board miniguns. Unsurprisingly it has to be quite lightweight in order to let the helicopter fly. It also is not commercially available, so you won’t find it next to starter batteries in Halfords. It is made by Kokam in Korea and developed purely for military use. Well, until now. Because it is exactly this pack which, with the help of British company Hyperdrive Innovations, I have ordered for my Flux Capacitor. Let me expand on this a little. Originally I thought the Flux Capacitor project would take a year to complete, tops. How wrong and foolishly optimistic I was. 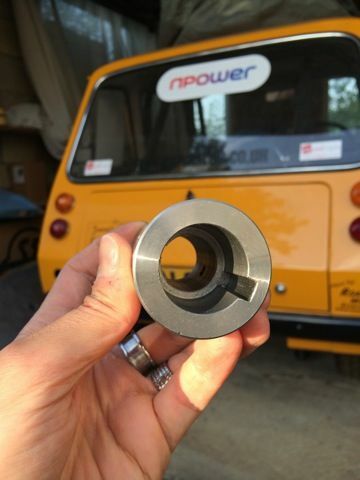 Yes, there are less moving components to an EV compared to a piston-powered car, but the spec and power of electric parts I needed suddenly threw an expensive spanner in the works. It has taken the best part of 10 months but we’ve finally got some appropriate batteries to power the Flux Capacitor, all thanks to Hyperdrive Innovation. I wasn’t prepared to compromise, so when it came to sourcing suitable battery packs that can survive incredibly fast discharge without overheating/catching fire we had to tread carefully. 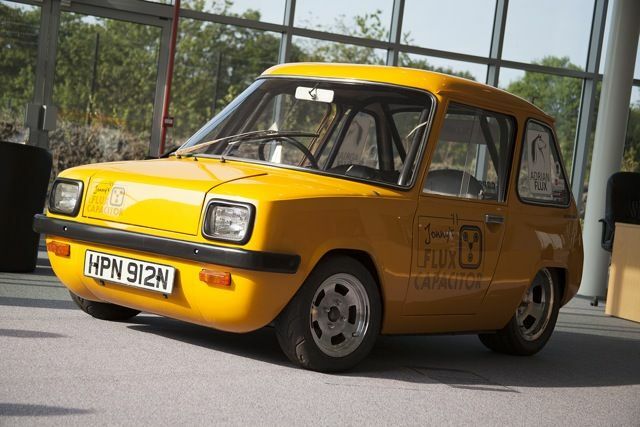 I’d had a lot of false promises but when Stephen Irish at Hyperdrive Innovation got in touch after seeing the car on display at the Low Carbon Vehicle (LCV) show, he was confident they could help. 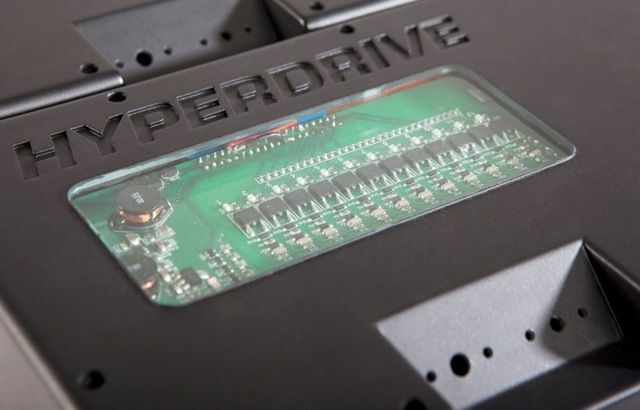 Hyperdrive Innovation is a low carbon vehicle tech company who carry out engineering projects for customers ranging from electronics design to complete vehicle build. 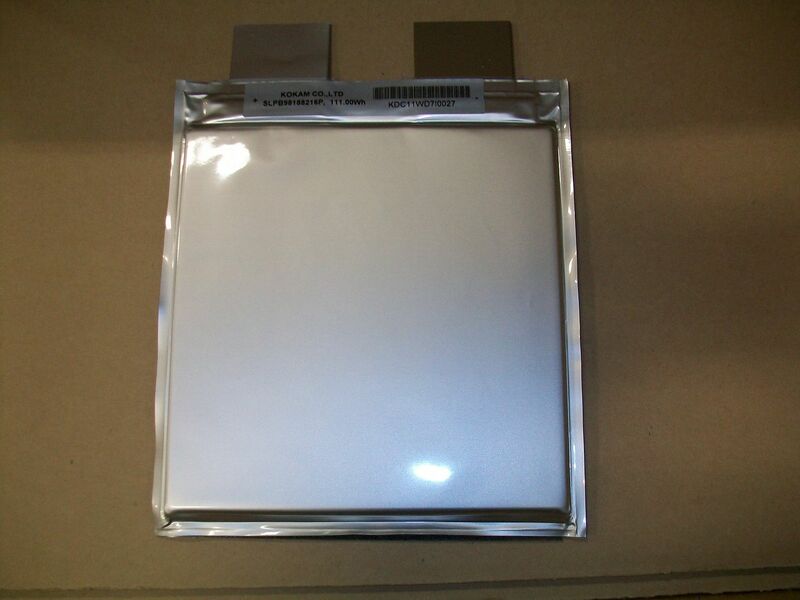 The company also has a range of products including high energy density battery packs, battery management systems, electric vehicle range extenders, electronic control units and data logging systems. 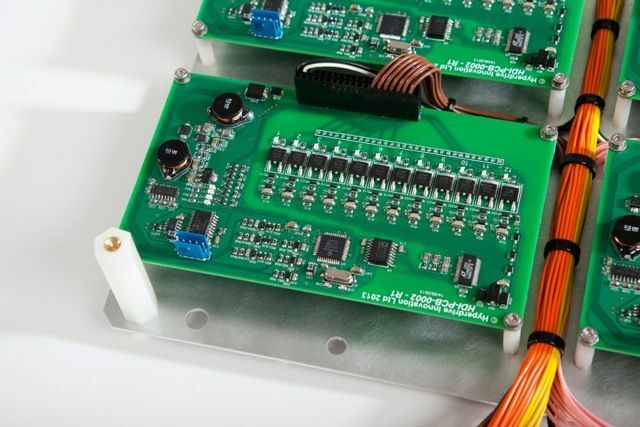 Stephen was confident their military grade BMSs (Battery Management Systems) would be applicable to work with the Flux Capacitor as the car needed to safety monitor the cell voltages during fast discharge cycles (like EV drag racing). They may look like desktop PC towers but the BMSs are a critical part to hi-po EVs. The Flux Capacitor will be capable of running up to 2000 amps @ 300+ volts for 10 second bursts. 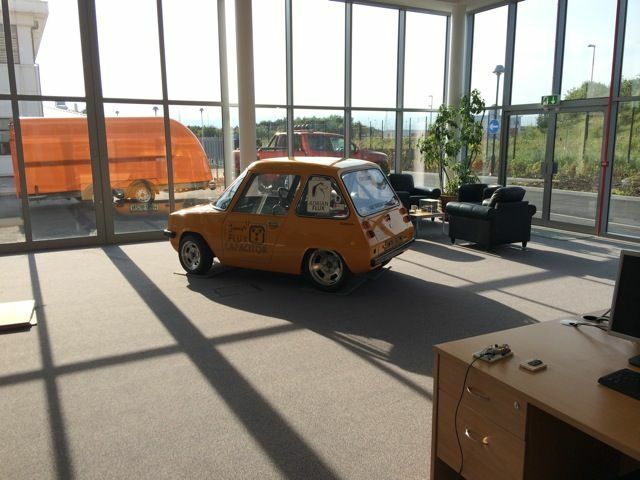 Fast forward a few months, lots of techy emails and a business trip to Korea, the battery cells are now sitting next to the yellow ochre Enfield in Hyperdrive’s Sunderland HQ. It’s in their office right now, literally. I’m not sure how the meeting went between them in Korea and Hyperdrive’s tech boss Chris Baylis, but needless to say they understand what I’m going to use these specialist cells for. In fact Kokam batteries power the White Zombie Datsun EV that influenced my humble Enfield in the first place. The 30 Ah 3.7 volt cell ‘pouch’ packs just look like grey microwaveable sandwich bags, but when packaged together they provide more muscle than piston engines can hope for. NO GEARBOX. JUST SERIES TO PARALLEL POWER. 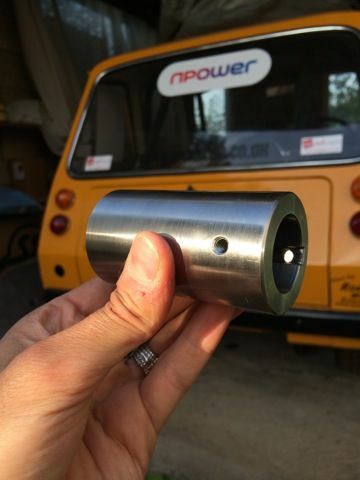 The Flux Capacitor doesn’t have a gearbox, It has the two 9-inch motors mounted in series via this small but vital custom built input shaft which took ages to find someone to make (thanks to RAB Engineering). 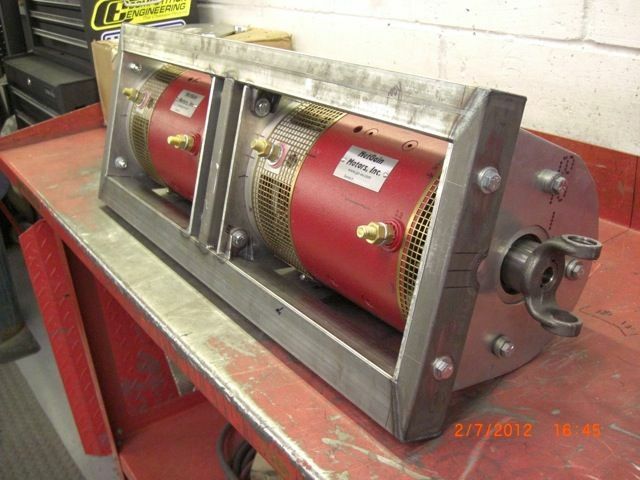 The motors live in a cradle that bolts into the transmission tunnel and from them is a custom built propshaft that sends drive to the back axle. 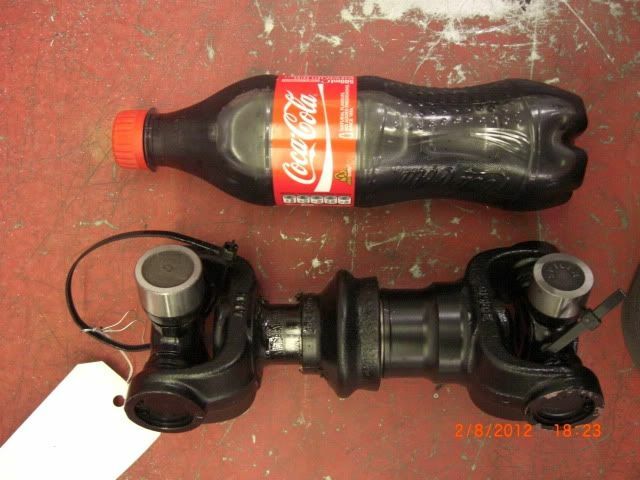 Which is 6-inch long or, in engineering terms, about as long as one of those Coke bottles. The motors will start in SERIES configuration with the voltage output of the controller (ECU if you like) at 320 volts (160v + 160v) and 1800 amps. During a hard throttle run on the quarter mile – when certain parameters are met – the car’s controller will switch the motors in to PARALLEL mode. At this point the controller changes the voltage output to 160 volts and current 1800 amps. So parallel @ 1800A /2 = 900A @ 160v. At present the batteries are being mounted inside the car within a safety enclosure, alongside the BMSs. I’ll talk about the weight distribution and installation in the next week or so when Hyperdrive has finished their beavering. Chris, the tech boss of Hyperdrive has also mentioned that his early calculations suggest the range of the Flux Capacitor may be much further than the 15-20 miles I initially aimed for. FormulaE starts its first ePrix this weekend in Beijing. That’ll be interesting to see how the public appreciate single seaters that sound like TIE fighters and K.I.T.T. Personally I’m excited. Thanks for reading. More very soon.